My husband loves to grill for our family and we especially like all of delectable grilled foods that he makes for us to enjoy. What has been a concern for me is the old food drippings and black, greasy residue that can potentially contaminate the food he is currently grilling. With the Clean BBQ™ disposable grill liners, we don’t have to worry about food touching the grill. These disposable liners are deigned to fit all standard grill grates and are made of thick, corrugated aluminum foil. As an added bonus it is so much easier to clean up the grill because we simply throw out the used liner. We recently enjoyed a summer vacation at a cabin in the mountain. We frequently grilled out at the cabin and in the Great Smoky Mountain National Park. 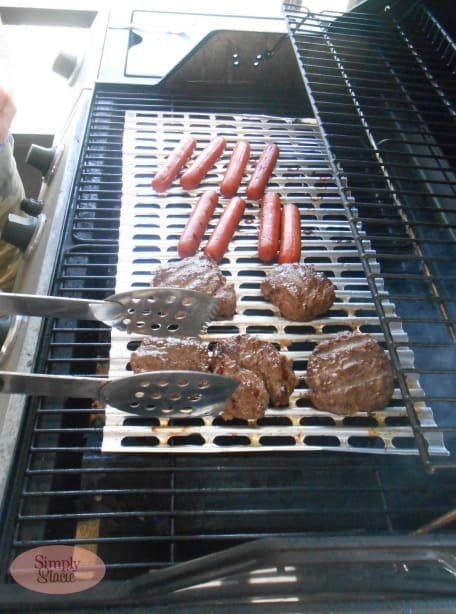 One product that we took with us to use on all of our grilling outing is the Clean BBQ disposable grill liners. What we noticed the most is that our food tasted great and there was absolutely no bitter taste to our burgers, steak and hot dog when using this product. 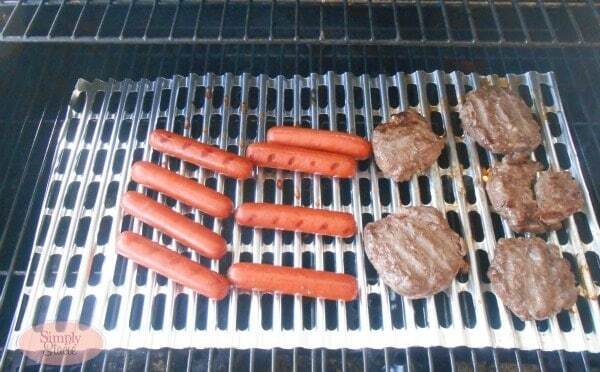 It is very easy to use the Clean BBQ™ liners and we found that it fit on all the grills. Each pack has a total of 20 liners with a suggested retail price of $19.95. I find this to be an excellent value especially since I have the ease of mind to know that my family can enjoy eating grilled foods without that black residue from old previously grilled foods. I highly recommend bringing the Clean BBQ™ disposable grill liners to all of your outings and keep some at home next to the grill too. We have been very pleased with this product and I am confident that you will notice a beneficial difference in the taste of your grilled foods too. You are going to love how easy it to keep your grill surface clean too with no dreaded mess to have to scrape off the grill! Clean BBQ™ can be purchased at Home Depot stores or online too! What a great idea! Are these available in Canada? Wow these would really come in handy at our house! Can you purchase them in Canada, my fiancé would love these what a great idea!! Awesome! I’ll need a supply for our summer home, too – no more gook under my fingernails trying to clean the grill! Things like this make me wonder how no one has thought of this before. It’s a great idea. I would like to have them for camping or picnics when we use the grills there. Nothing to clean up after and we’d always be cooking on a clean surface. This is the first time I have heard about these liners, perfect for barbecues, thanks!